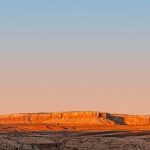 Rebecca Robinson is a freelance journalist who has spent decades exploring the landscapes of Bears Ears country. 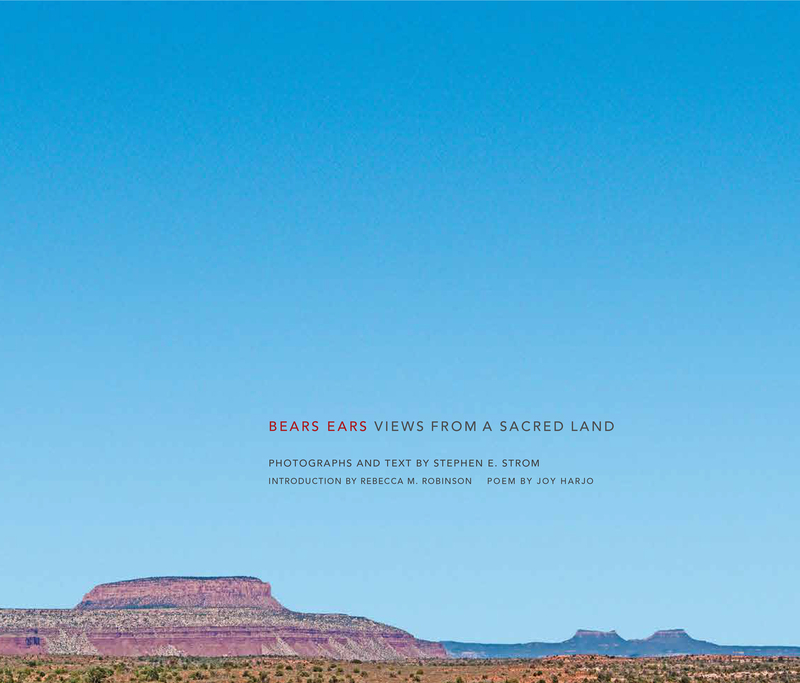 Today she speaks to the singular beauty of the region captured by photographer Stephen E. Strom in his forthcoming book Bears Ears: Views from a Sacred Land. 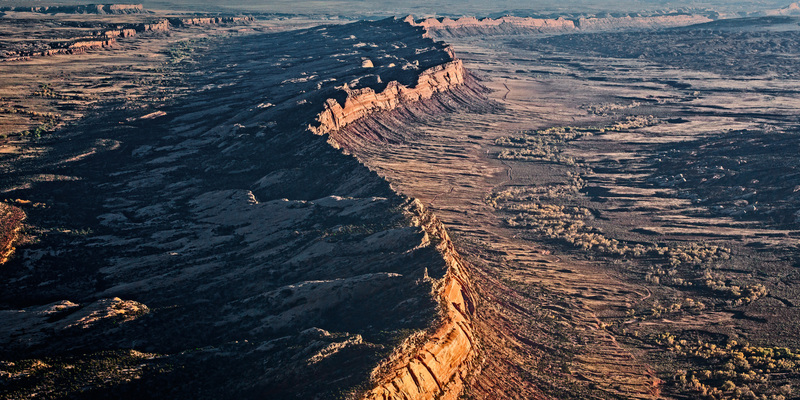 Should an eighth wonder of the world ever be proclaimed, a strong case could be made for the landscape of southeastern Utah, a region so striking it has become a visual shorthand for the wild majesty of the American West. Visitors to Utah’s portion of the Four Corners region find themselves mesmerized by its endless ridges, buttes, spires, natural bridges, and exquisite canyons—each one, like a sandstone fingerprint, completely unique. The vivid vermillion hues that define the region’s red-rock country are complemented by softer, cream-colored layers and the subtle green of sagebrush, whose ubiquity and resilience testify to stubborn survival in a harsh land. This vast terrain bears scars as well: of explosive emergence and tectonic shifts that shaped Earth into otherworldly formations of stark cinder cones, rainbow bentonite hills, and impossibly steep anticlines. These landmarks, formed millions of years ago, painted and sculpted by water and wind, provide a visible record of deep time. 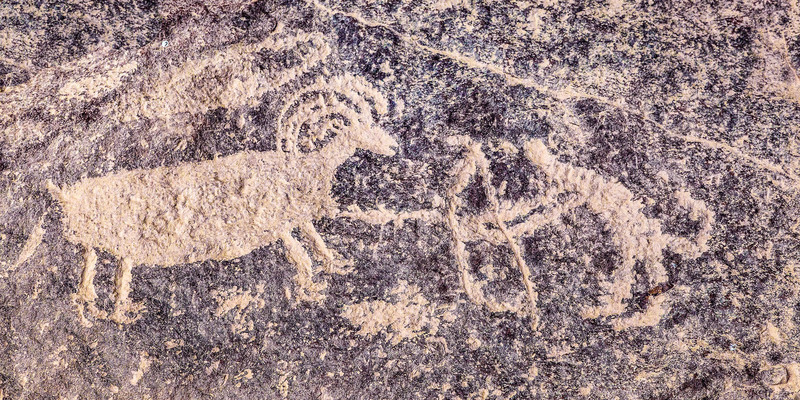 Evidence of the prehistoric abounds in the region. Fossils of plant and marine life, along with those of early amphibians and mammals, inspire awe in visitors and scholars alike. The stories of eons past, preserved within the layered landscape, illuminate how life on the Colorado Plateau—of which Bears Ears is a part—evolved and adapted to the land’s slow march northward from the equator as it endured radical shifts in climate and inundations by oceans and inland seas. Today’s rich and diverse assemblage of plant and animal life is as fragile as it is tenacious. Each patch of lichen, herd of mule deer, and field of sagebrush plays a vital role in a delicately balanced ecosystem in which Nature’s rhythms must be respected to ensure their survival. This land of rugged beauty and rich history is Bears Ears, a new national monument declared by President Barack Obama on December 28, 2016. Named for twin buttes visible for sixty miles in all directions, Bears Ears National Monument protects an area spanning 1,350,000 acres—more than 2,000 square miles; larger than the state of Delaware. What both the land and people of Bears Ears country yearn for is healing: between the tribes and the federal government; among the region’s tribes who share histories of bitter conflict; among the tribes and residents of San Juan County—Native and Anglo, Mormon and non-Mormon, staunch supporters and steadfast opponents of the national monument; and of the land, protecting an eighth wonder of the world from efforts to exploit its riches for private financial gain. In many ways, San Juan County’s challenge to find common ground and common purpose mirror those of the nation as a whole. True healing can only be achieved through collective listening, respect, compassion, and leadership and acknowledging that past wounds—including military action—inflicted by the federal government on both Native Americans and the Mormon people are many and, in some cases, shared. The future will depend on the courage of all to speak truths, to commit to hear and respect all voices, and to seek mutual understanding that will allow citizens to create a just and sustainable future that benefits all. 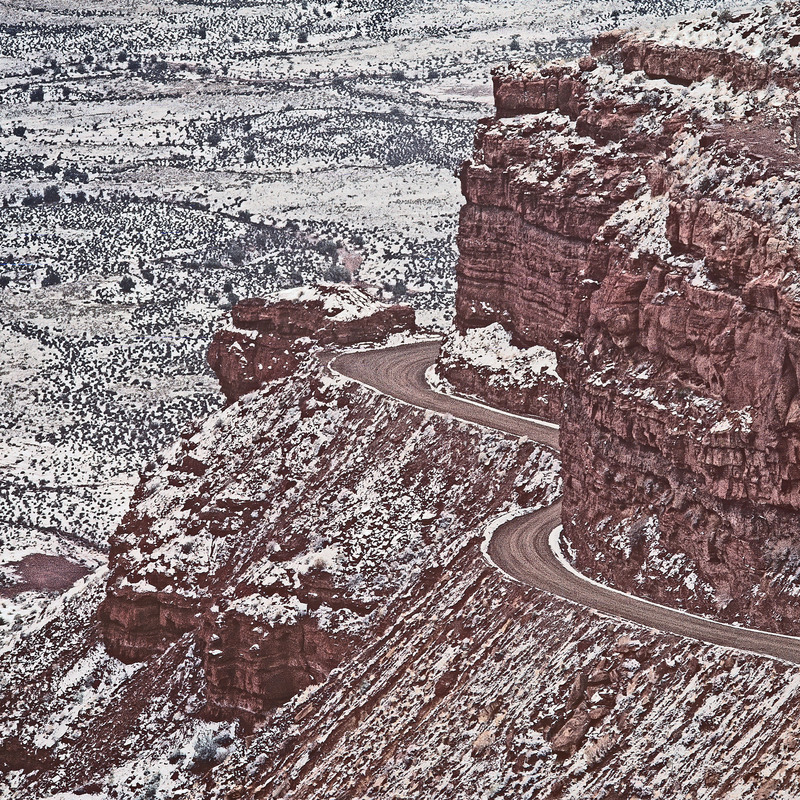 In Bears Ears: Views from a Sacred Land Stephen E. Strom’s photographs capture the singular beauty of Bears Ears country in all seasons, its textural subtleties portrayed alongside the drama of expansive landscapes and skies, deep canyons, mystifying spires, and towering mesas. To Strom’s alert and sensitive eyes, a scrub oak on a hillside or a pattern in windswept sand is as essential to capturing the spirit of the landscape as the region’s most iconic vistas. In seeing red-rock country through his lens, viewers can begin to discover the rich beauty, remarkable diversity, seductive power, and disarming complexity that embody Bears Ears National Monument’s sacred lands. Years from now, these images may serve as either a celebration of the foresight of visionary leaders, from President Teddy Roosevelt’s original vision of national monuments for America to the recent vision of tribal leaders and President Obama, or, should President Trump and his allies rescind the Bears Ears National Monument declaration, as an elegy for what was lost—for the tribes and for future generations of Americans. Rebecca Robinson was born in Baton Rouge, Louisiana and makes her home in Portland, Oregon. Her journalism work has been widely published and broadcast in numerous print, online, and radio outlets, and she has received awards from the Society of Professional Journalists, the Alliance for Women in Media, and the Associated Press. Through twenty individual stories, her forthcoming book Voices from Bears Ears: Seeking Common Ground on Sacred Land (Fall 2018) captures the passions of the debate that led to the creation of Bears Ears National Monument, a land of unsurpassed natural beauty and deep historical significance. She continues to capture the passions of those on opposing sides of the Bears Ears battle with weekly online updates. Stephen E. Strom was born in New York City. After receiving his B.A., M.A., and Ph.D. in astronomy from Harvard University, he spent forty-five years as a distinguished research astronomer. He began photographing in 1978, and his work has been exhibited widely throughout the U.S. and is in the permanent collections of the Center for Creative Photography and Museum of Fine Arts, Boston, among others.